Contemporary cabinet t bar handles with collared bar. Ideal for use on kitchen doors and drawers as well as bedroom furniture. Brushed nickel finish giving a stainless steel effect. 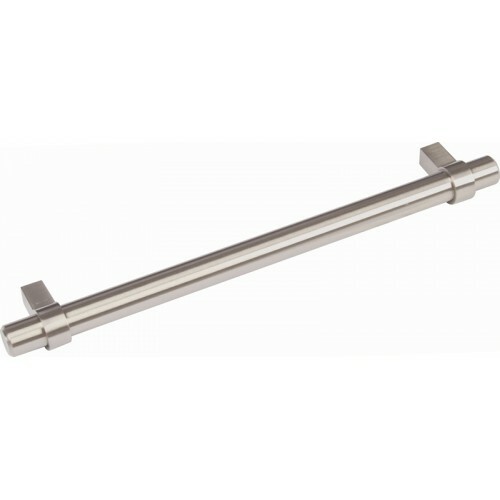 Steel bar with zinc alloy feet.